That's the question I've been asking myself a lot lately. I'm a very driven person, and I love trying to improve myself, situation, and those around me. So, the balance I have to find is that of contentment. Everyone leans to an extreme, and I don't believe living an extreme life is very healthy. There's a healthy balance that can be found in everything, and that comes from wisdom, which comes from God. Being that I'm pretty driven, I have to lean the other way to find my balance of contentment. I need to be content in what God has given me, and ultimately find joy in that. My leaning to the driven extreme will always make me want something more, or look to greener pastures, when God has put me in green pastures and still waters already. I guess it's just realizing that and accepting it. So I ask, "What is enough?" I've been thinking about this, and I've decided that there are priorities with enough's. First, let's talk about my occupation - "Worship Pastor or Full-Time Ministry". When I tell people what I do, it instantly identifies myself in a religious, churchy context, which I think is a good thing. 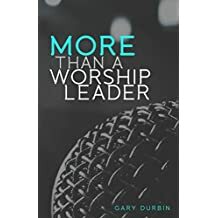 When it comes to ministry in the church, there needs to be a self-motivating drive in one's self to be "successful" and to have a healthy ministry where you make a positive impact on people. Now...if I say that a great life for me is to have a successful ministry, then I'm rolling the dice, big-time, because this "enough priority" probably will not last forever for me. (i.e. retirement or change of vocation.) Don't get me wrong. I love the church, and I truly see myself serving it for the rest of my life, whether I get a pay check or not, but it can't be enough for me to have joy. Another area would be my social life. (Play the song, "Friends" by MWS for more effect during this section) I am so grateful for the friends I've had in life, and I'm very grateful for the life-long friends that have always been there for me. Friends are great and valuable, especially in the down times when you find out who you're real friends are, but is it enough? This "enough priority" can also be fragile and can change. I'm sure your social group now looks much different than it did in high school. That's because we change, and usually when you change, your friend choices do as well. This "enough priority" is not a constant either. Another area would be my family. They say you can't choose your parents, and that's true. The choice of the ones who raised you was completely out of your hands. Hopefully, you have had and have a good relationship with your parents, siblings, grandparents, aunts, uncles, etc. The unfortunate truth is that there are many dysfunctional families out there and there is broken relationships and trusts. I love my parents, my brother and my grandparents dearly, but they're not always the source of my joy, and I've not always been the source of their joy. Yes...unfortunately, even family can let you down. So, if we say that family is enough for us to have joy, then once again, we are rolling the dice. This "enough priority" can change a lot as we get older and develop our own independence. Another area would by my own family. Those that know my wife, know that I married way over my head. I do not deserve her whatsoever. (You can play the song "You're the Inspiration" by Chicago during this section.) She knows me better than anyone. She knows the best and worst about me, and yet she loves me. She's made me better. We have two great kids that bring so much life and energy to our home and family. This is my family...mine. When my job fails me, and when my friends fail me, I know my family is there for me through thick and thin. But is this enough? Is this "enough priority" number one on the list? As a Christian, I have to say it can't be. I can never imagine my family being broken up, but the truth is is that they will let me down at times and I will let them down. Therefore, it's not enough for my joy. The main "enough priority" and the core to me has to be my faith and relationship with God. God has said that He will never leave me or forsake me. He is the God that never lets go and never lets me down. He's bigger than my occupation, my friends, and even my family. He's God. He is and must be enough and sufficient for me. God is the joy that lasts. One of my favorite verses is Psalms 37:4, "Delight yourself in the LORD and He will give you the desires of your heart." With that, God must be what I most desire. God is "enough priority" number one in the joy-filled life. When all is said and done, there is God. When God is the main priority of our life it will bring light to the priorities of our life. There will be a divine order to them. God is the ultimate fuel for all areas of our life, and when He is not prioritized over them in our life, He will not bless them. When we put our ultimate hope or joy into anything less than God, we will face disappointment with no light. So, think about the areas of your life, or your "enough priorities". List them out and make sure they're in the proper order. The best thing you can possibly do is prayerfully prioritize your enough's and you will find true joy more and more everyday. *I separated my parents from the rest of my family because for 25 years it had only been the three of us. Being a military family we moved...a lot and my only constant were my parents.